When you arrive at the Noi Bai International airport you'll be met at the baggage claim by our friendly guide. We'll get you to your hotel and see that you're comfortable, plus we'll give you an introduction to the city at the same time. Then the rest of the day is yours to settle in, relax, and explore the area. 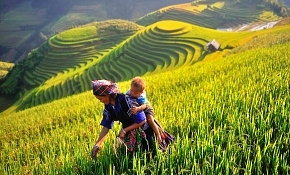 Hanoi is Vietnam’s capital city and home to seven million people. Traditional and refined with French colonial architecture, tree-lined boulevards, scenic lakes and a bustling Old Quarter, Hanoi has a sophisticated charm. Observe locals practicing Tai Chi by the lake, with barbers and food vendors plying their sidewalk trade. You'll have your breakfast at the hotel and then the local tour guide will pick you up to take you into the capital city of Vietnam. 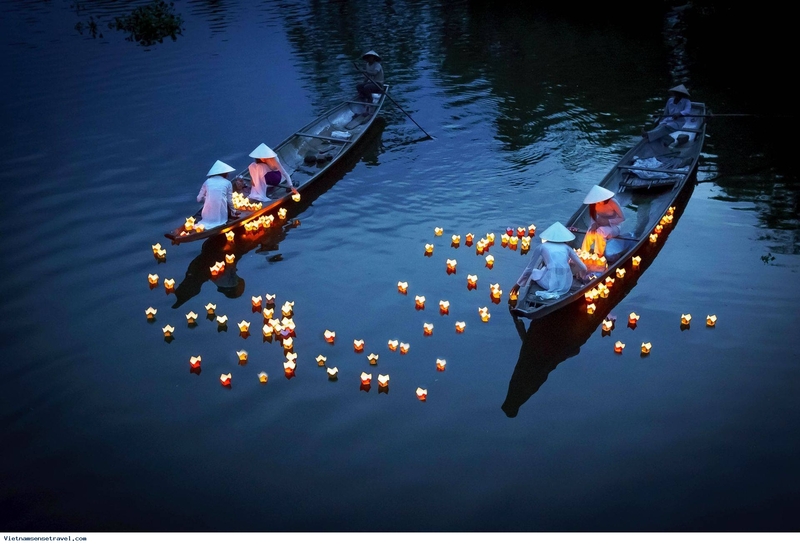 Hanoi is over 1,000 years old and during your day tour you'll get to explore many of its fascinating cultural and historical sites. 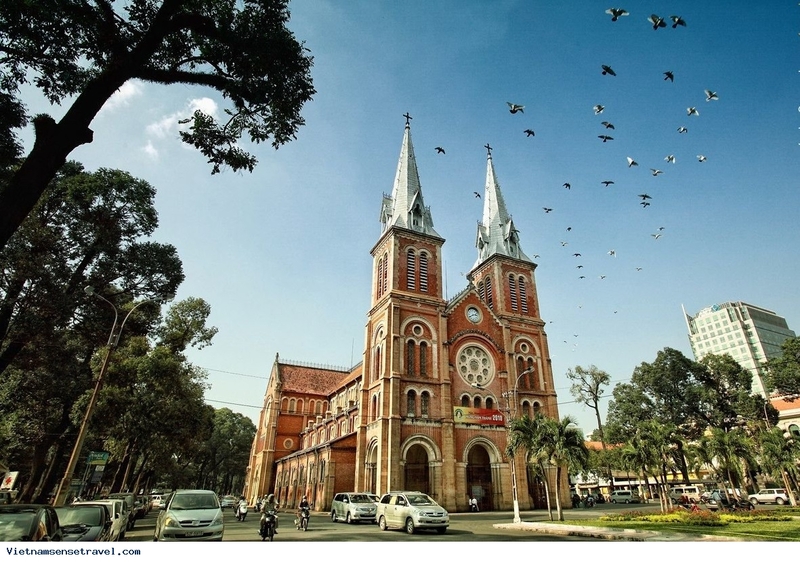 You'll visit the imposing Ho Chi Minh Mausoleum where the preserved body of “Uncle Ho” has been laid to rest, the delicate One Pillar Pagoda, Tran Quoc Temple and the Quan Thanh Pagoda. After lunch you can go to the Temple of Literature where you'll get to see ancient Vietnamese relics, then take a cyclo tour in 1 hour through the bustling and exciting Old Quarter to explore marketplace shops and foods. You'll end your day with a show at the water puppet theater - a beautifully unique cultural performance from northern Vietnam. We'll pick you up in Hanoi by 8:00am and drive through the verdant Red River Delta to make our way to the famous UNESCO World Heritage site, Halong Bay. You'll board a luxury junk ship for an overnight cruise - while you relax on-board you can marvel at the incredible limestone karsts that jut out of the sea and the thousands of jungle-covered islands that seem to float on the waves. The turquoise waters of the Gulf of Tonkin swirl around hidden grottoes and ancient caves to create an enchanting, timeless world. We'll serve you a fresh seafood lunch while you sit back and relax as you enjoy the incredible view with a drink in your hand. We'll take you to a traditional fishing village where the locals have created an entire town on the decks of their boats, then you can explore Tien Ong Cave before returning to the cruise for cocktails, canapés, and a spectacular sunset. End your day with a romantic, candlelit dinner. Your driver will meet you when you disembark and transfer you to Noi Bai airport for your flight to Hue. When you arrive in Hue we'll pick you up and transfer you to your hotel. Hue served as an imperial capital to the Nguyen Lords, a feudal dynasty which reigned from the 17th to the 19th century. Despite heavy bombing during the Vietnam-American war, many historic monuments from this period remain, and even though Imperial rule ended more than six decades ago, Hue still bears the marks of its royal past. The city retains its royal charm with its emperors’ tombs, ancient pagodas and the remains of the Citadel. You'll begin your day in Hue with a visit to the ruins of the Imperial Citadel, the capital of the Nguyen Dynasty from 1802 to 1945. Then take a bicycle trip through the Old City to Tinh Tam Lake, the ancient gardens of the emperors. 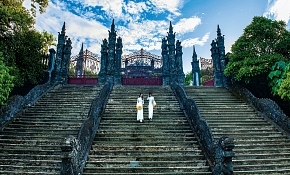 In the afternoon you can head to Thien Mu Pagoda, overlooking the emerald Perfume River. 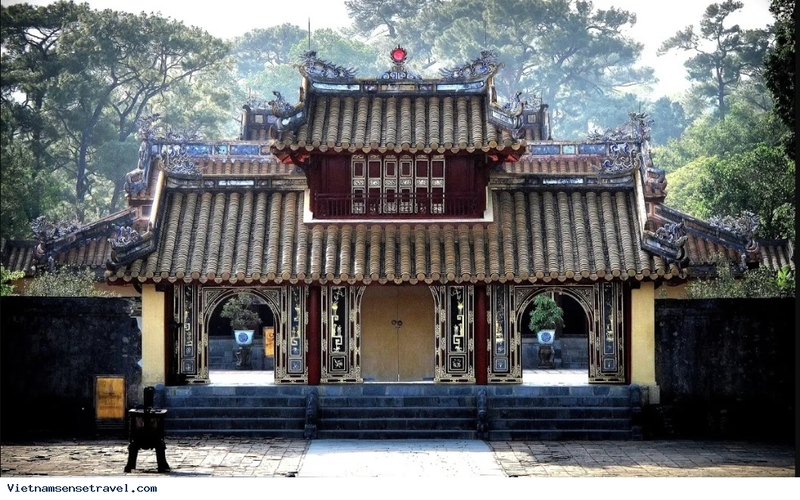 Your last stop will be to explore Khai Dinh's Tomb, a traditional Vietnamese temple with a European touch, making it a particularly unique tomb among the ancestral ruins of ancient Hue. In the evening you can explore the city and its marketplaces on your own. You'll have breakfast in your hotel, then have some free time to shop, explore, or just relax. 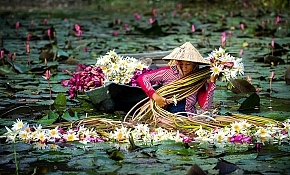 In the afternoon our guides will pick you up and take you to Hoi An. 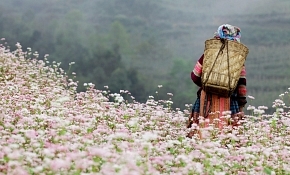 On your way you can stop to visit Lang Co Beach, a picturesque fishing village, then drive through the Pass of Ocean Clouds for a stunning panoramic view of the mountains and sea, and make a quick visit to the Cham Museum. 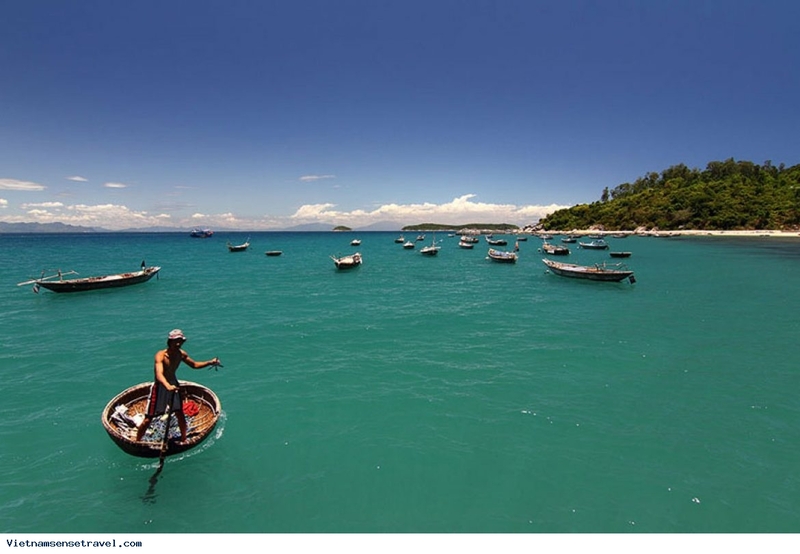 After you arrive in Hoi An you will check into your hotel then have the afternoon to soak up the sun at Cua Dai beach. 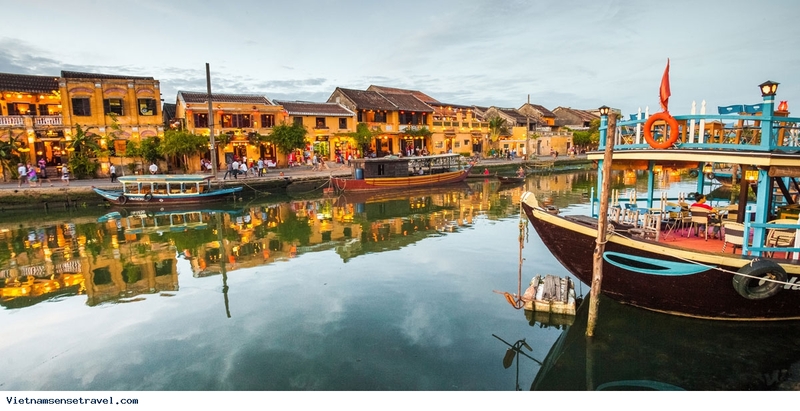 Hoi An was a prosperous port from the 16th to 19th centuries trading with merchants from China, Japan, India, Indonesia and Europe who came to buy silk, spices and porcelain. Hoi An’s UNESCO World Heritage Old Quarter is beautifully preserved with ornate pagodas, antique trading houses and old tile-roofed shops. It is a rich architectural fusion of Chinese, Japanese, Vietnamese and European styles. Many of the historic buildings lining the canals and pedestrian streets have been converted into art galleries, boutique restaurants, bars and cafes. 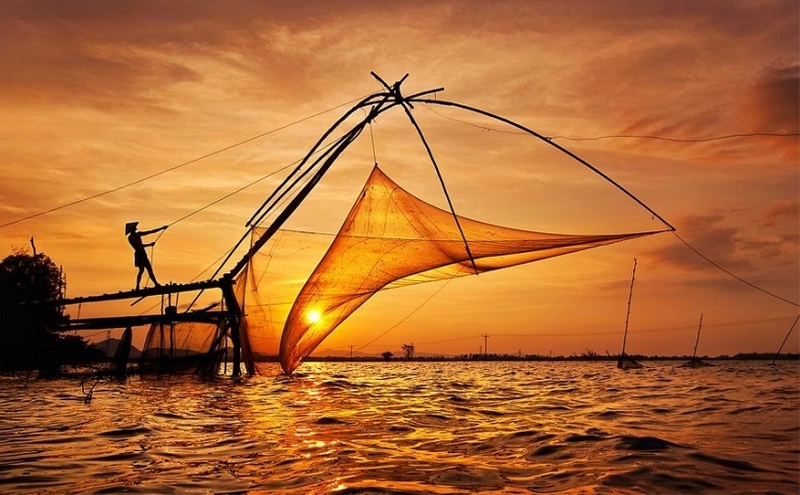 Hoi An is surrounded by attractive countryside with traditional farming and fishing, and by sandy beaches with modern seaside resorts. 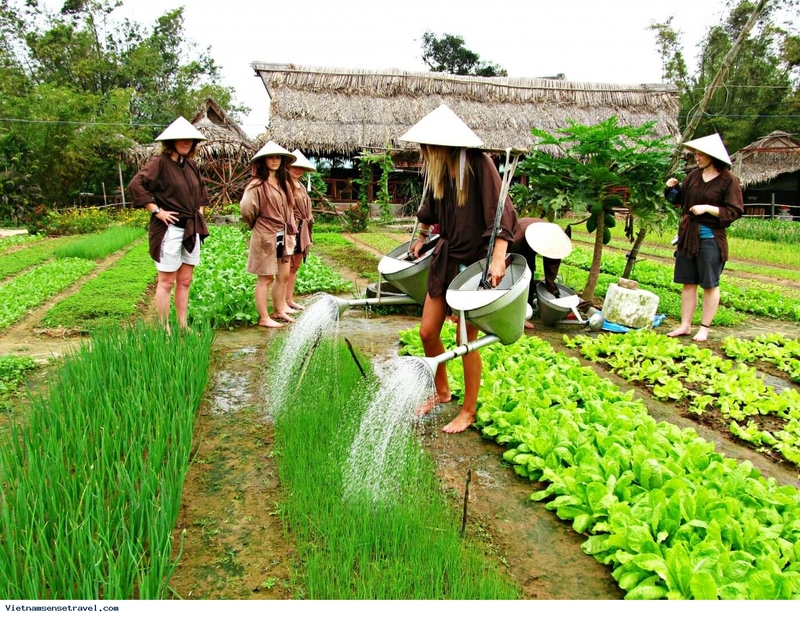 Breakfast will be served at the hotel and afterwards you'll explore the enchanting time-capsule town of Old Hoi An on a walking tour with your guide. 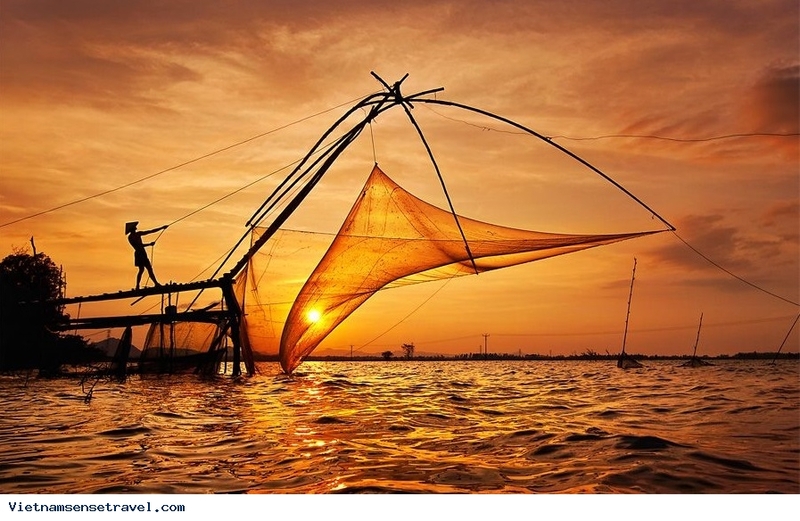 Hoi An was a major sea port in Asia and it resulted in a fusion of style and culture that has been perfectly preserved. Wander traditional Chinese shops, luxurious French homes, and an ancient Japanese bridge. 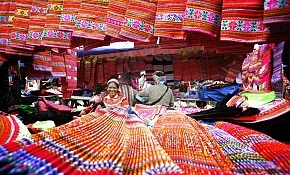 The town is home to silk markets, Vietnamese food stalls, and talented street performers-- all of which are sure to charm you. Then spend the afternoon further exploring the town on your own or head down to Cua Dai Beach to relax. We'll pick you up after breakfast and take you to the airport for a flight to Ho Chi Minh City. 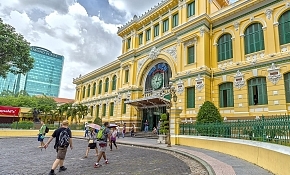 After you arrive we'll get you to your hotel and then you can spend the evening exploring the bustling city of Saigon. We'll pick you up in the morning and take you to the Cu Chi Tunnels, a major part of the Vietnam-American War and a fascinating day trip-- explore the mysterious tunnels, find hidden doors and once-deadly traps. After lunch we'll go back to HCMC and spend the afternoon either visiting the War Remnants Museum or the Reunification Palace, whichever you prefer. 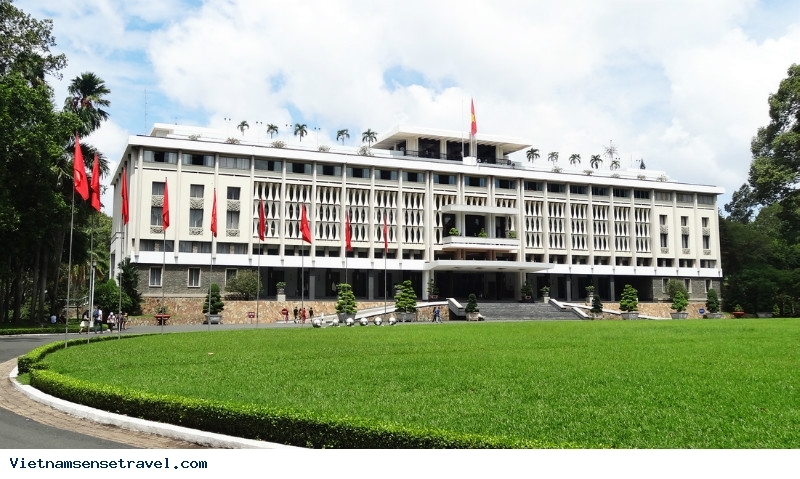 Then stroll around the city's colonial streets in the evening to the Old Saigon Post Office, Dong Khoi Street, Continental Hotel, Opera House and City Hall. 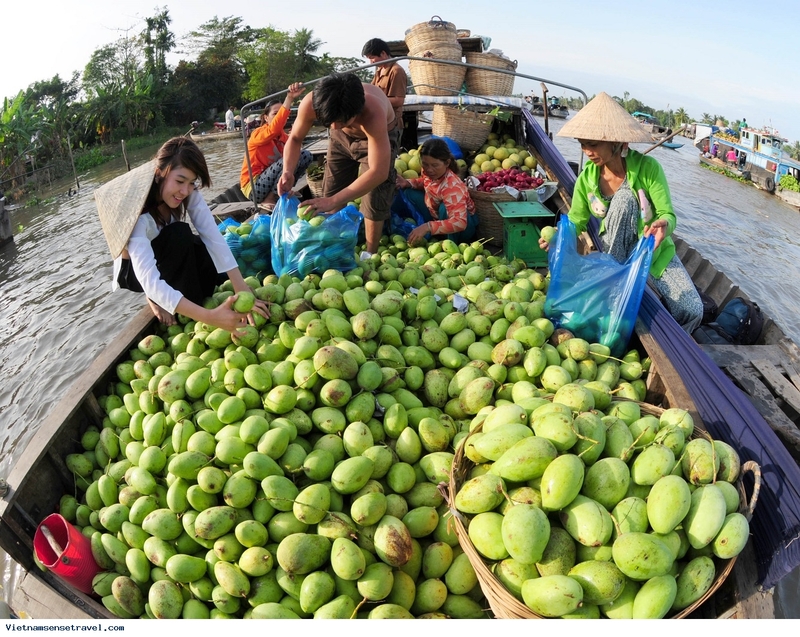 Take a leisurely boat trip to explore the picturesque tributaries of the Lower Mekong river (Bassac River), then proceed to visit Cai Rang floating market which are the liveliest in the whole religion. Have you ever tasted Vietnamese vermicelli soup? Well, now go and see how it is made. Then wander around the village and meet the friendly local people and experience how to cross a "Monkey bridge" which is built by only o­ne stem of bamboo. Visit the orchard garden. Stop for lunch. Arrive in Ho Chi Minh City, check in hotel and free time. You have free time in the morning until your private car arrives to take you to the airport for your next destination.